Almost every business owner has heard of Search Engine Optimization (SEO). 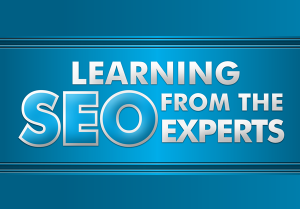 You may be convinced that SEO is the way to go, and you wouldn’t be wrong. What most business owners often wonder is why SEO is so powerful. That is where Perfect Point Marketing comes in. Perfect Point Marketing is going to show you 5 reasons why SEO is so powerful and why your company should invest in it. One of the first things you have to understand is that SEO is an investment, not a cost. If done right SEO can be an investment with a high return. SEO professionals are able to tie SEO to web analytic data, tracking keywords and knowing when to increase the budget and when to change their strategy to increase conversion rates. Choosing the cheapest SEO pitch can end up costing you more than if you went with an SEO company with higher rates. Why is that? Remember how we just mentioned that SEO is not a cost but an investment? On face value, you may think that hiring a cheap SEO company is more economical, but it can prove to be a bad investment if you don’t receive the results you are seeking. Not only is their potential for wasted money…but wasted time! In the long run, it is more cost-effective to hire the SEO company who offers better quality SEO marketing that contributes to your bottom line. Your website is your billboard on the internet and SEO helps put that billboard on the freeway instead of out in the forest where no one can see it. Your website is your number one selling tool online. Your website never sleeps, it is open 24/7/365 and can bring in leads, opt-ins and sales like clockwork, if it can be found. There are thousands, if not millions, of other websites out there on the internet. Without proper SEO your website is going to stay hidden in that forest, while other competitors take your spot on the freeway. Every aspect of your SEO can be evaluated, measured, and corrected. Professional SEO companies can do this continuously, so you can discover what your return is for every SEO dollar invested and you don’t have to lift a finger to do so. SEO is great when it comes to bringing in prospects and boosting conversions. But, it is also important to add other marketing to the mix to reach your highest marketing potential. Branding, social media, and other online strategies can complement SEO and the combination of marketing methods can strengthen and reinforce your marketing strategy, allowing your business to grow and prosper. Professional marketing companies like Perfect Point Marketing, help clients build the right foundation, mix of marketing methods and plan to effectively implement and manage a high-return, cost effective strategy that fits in with their company’s overall business goal. Professional marketing companies have the responsibility of steering clients away from pitfalls and shady tactics that can harm their business. Perfect Point Marketing believes that by educating clients on how SEO works is just as important as showing rock solid proof that backs up our marketing services, prices and advice. We want to create a relationship with clients built on the foundation of understanding, trust and RESULTS!